Water flows down through the now-open Old Ski Bowl. The Old Ski Bowl is now open! Five weeks after the normal opening date, the gate at Bunny Flat has been opened and there is now driving access to Panther Meadow and the Old Ski Bowl. 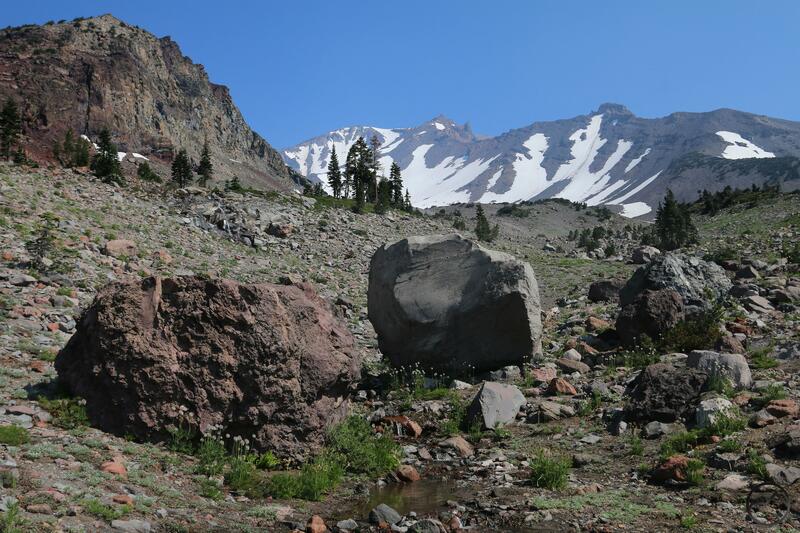 Four of the best trails on Mount Shasta, Panther Meadow, Gray Butte, South Gate Meadow and the Old Ski Bowl Trail are now available for hikers. The timing could not be better, as wildflowers and flowing water are abundant! The only drawback is the persistent smoke that continues to waft in from fires in other parts of Northern California and Oregon. However, in spite of the fires, the Old Ski Bowl is often high enough to avoid the the preponderance of the smoke. A rare opportunity exists right now to see running water in the Old Ski Bowl. The small spring that flows near the base of Green Butte is flush with water from the still melting snowfield at the head of the bowl. The increased volume means the water is flowing further down the Old Ski Bowl, even forming a small waterfall at one point. The falls are both visible and audible from the picnic area. It is a wonderful sight. Though the falls are often fleeting, I dubbed them Painted Falls, in honor of Ed Stuhl, who referred to Green Butte as Painted Butte (a much more appropriate name, if you ask me). The tall butte forms a dramatic backdrop to the little waterfall. Now is the time! Get up there and hit the trail! Stunning and Shasta still remains one of my favorite places. 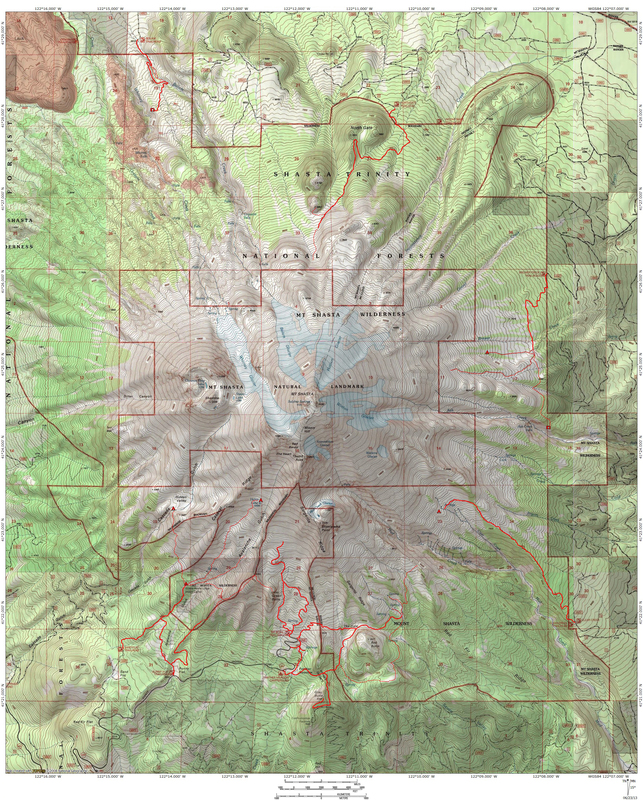 The myths and legend of Mount Shasta restored a peace and calm within me before I even knew about it. It remains a special place within my heart.